1. Improve your physical health: Who amongst us wouldn’t like to be a little healthier? 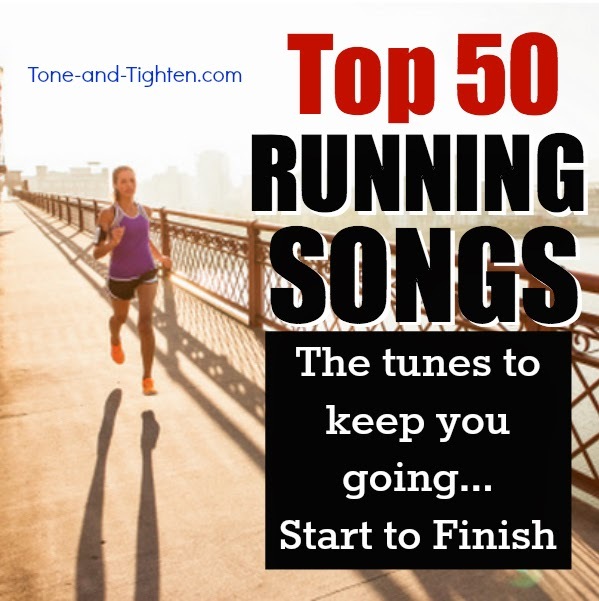 Running is a phenomenally easy and relatively inexpensive way to do it! It can help to raise your levels of good cholesterol and improve lung function. It’s also a great way to give your immune system a boost and fight off some of those nasty colds and flus. 2. Most effective form of cardio: Other forms of cardio just don’t compare to the burn you achieve when running! In a study performed by the Medical College of Wisconsin the treadmill burned more calories/hour than the stair stepper, cross-country skier, stationary bike, and rower (all used at a “hard” exertion level). Want to maximize your cardio time? Do it running!! 3. Lose weight: Who amongst us couldn’t stand to shed a few pounds?! In terms of burning calories running is one of the most effective forms of activity that you can engage in (second only to cross country skiing in calorie burn per given amount of time). When combined with a healthy diet running is one of the most effective weight-loss activities you can do! 4. Psychological benefits: When you exercise your brain secretes hormones and endorphins that improve your mood. 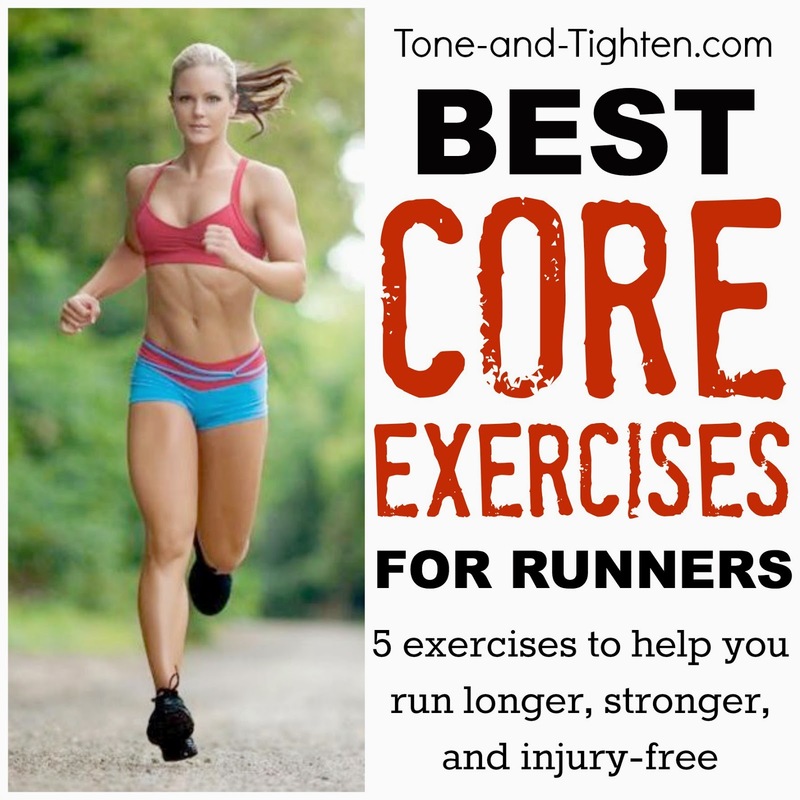 You enjoy elevated happiness, alertness, and mental clarity if you participate in a regular running program. 5. Better self image: Like I just said – if you run regularly and eat healthy you’re going to lose weight. This usually results in a more positive self-image, but this is really only scratching the surface! 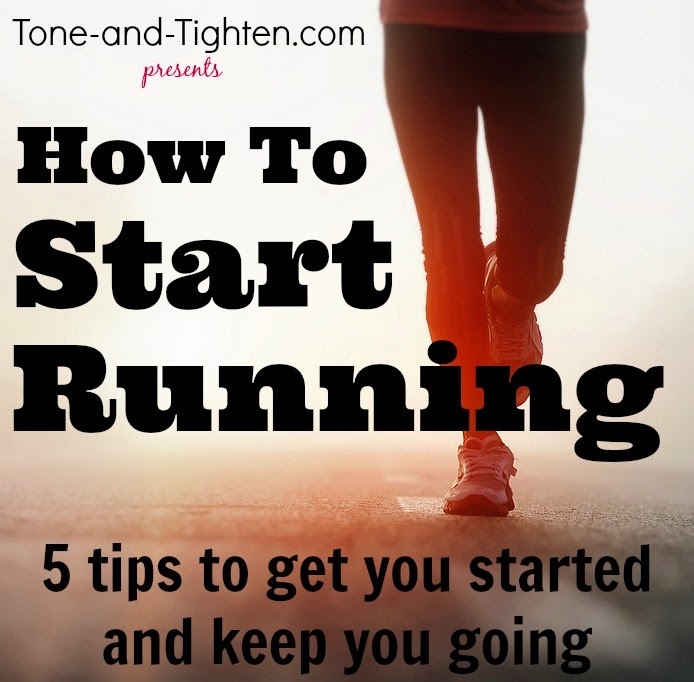 Running is all about establishing and achieving goals, self-improvement, and dedication. Running helps to establish patterns exhibited by successful people in all facets of life, not just health and fitness. Don’t believe me? Put it to the test! Improve your self image and the way you think about yourself by running regularly. 6. Simplicity: One thing that I love about running is EVERYONE can do it! There’s no fancy equipment; no class you have to go to; you’re not even confined to one location. You can run anywhere, anytime, for as long as you want to, for as far as you want to, independent of anyone or anything else. 7. You actually live longer: Not only do runners have fewer disabilities and remain active longer than those who don’t run, they actually live longer. Even as weekly running times tend to decrease as we get older, the healthy benefits keep on going. Enjoy a longer and more healthy life! 8. 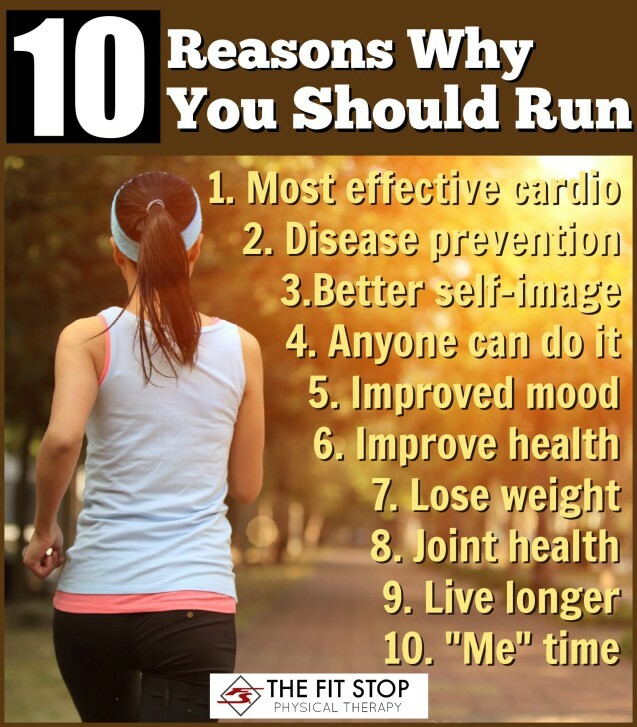 Prevent disease: Did you know that many doctors today are recommending running as a treatment for certain conditions? Pre-diabetes, oseopenia / osteoporosis, and high blood pressure are all medical conditions that can actually be improved with cardiovascular exercise including running. Heart attack and stroke prevalence are also decreased amongst runners as compared to the population who doesn’t run. 9. Better for your joints: Many people believe “running will give me arthritis later on in life”. Oh if I could but dispel this fallacy! Running has not been significantly linked to the development of arthritis later in life. Quite the contrary, actually!! Do you know what the biggest risk factor for developing arthritis is (besides age)? Body weight! The more mass you have the more stress you put on your joints which results in a higher development of joint-related problems. Runners tend to be less overweight than their sedentary counterparts resulting in an actual decrease in arthritis incidence among those who run regularly. 10. Get some much needed “ME” time: Another thing that I’ve always loved about running – NO DISTRACTIONS! In a world of increasing information available 24 hours a day literally at our fingertips we often forget to take time for ourselves. Think about it – waiting in the doctor’s office, sitting on the bus, even the last time you went to the bathroom – I’m willing to bet you had your phone to check emails, look at social media, or play some Candy Crush. I think we’re losing the ability to self-reflect because we don’t ever give ourselves time to do so. Enter RUNNING! It’s 20-60 minutes a day when I know I won’t be distracted by emails, phone calls, or what my friends ate for lunch that day. And this is a more-than-welcome break! 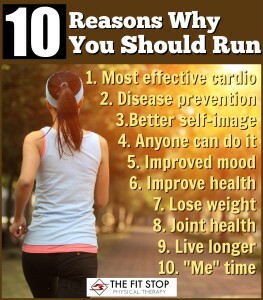 With these and literally countless other health benefits of running, you simply can’t afford not to!! So get out and try it! If it’s around the block or around 15 blocks, trust me – you’ll be glad you did! Do you hurt when you run? We would LOVE to see you in one of our clinics! We have an entire team of certified professionals who have been trained extensively to treat runners and running-related injuries. Check out our CONTACT page to ask questions, find a clinic near you, and get scheduled today!